Gasoline is produced in oil refineries. Material that is separated from crude oil via distillation, called virgin or straight-run gasoline, does not meet the required specifications for modern engines (in particular octane rating; see below), but will form part of the blend. The bulk of a typical gasoline consists of hydrocarbons with between 4 and 12 carbon atoms per molecule. Many of these hydrocarbons are considered hazardous substances and are regulated in the United States by Occupational Safety and Health Administration. The Material Safety Data Sheet for unleaded gasoline shows at least fifteen hazardous chemicals occurring in various amounts. These include benzene (up to 5% by volume), toluene (up to 35% by volume), naphthalene (up to 1% by volume), trimethylbenzene (up to 7% by volume), MTBE (up to 18% by volume) and about ten others. However, MTBE is no longer an additive to gasoline in some States. while the older injectors do tend to function with e85 fuel they are usually not truely compatible with ethanol and the o-rings may swell or slowly fail on the earlier c4 corvettes, it was not until the LS series engines were put into cars that true E85 compatible injectors and fuel line components were factory installed (1997) at the earliest. This product is advertised as "octane booster with cleaning agent *and* lubricating agent!". Diesel fuel or kerosene can be substituted for mineral spirits and light turbine oil can be substituted for transmission fluid. Color can be added with petroleum dyes. Disclaimer: this intellectual property is offered to GN/TType owners at no charge. Use it at your own risk. The GN/TType Organization is is not responsible for any damage or problems associated with use of this information. This information is for use by GN/TType owners on their own personal vehicles and may not be used for profit. but I also retard my ignition several degrees per 50hp shot of nitrous used. "Hey grumpyvette, I have heard that this formula kills fuel injectors. is that true? -Ken H"
Wonderful thread here! Especially for those that may be looking for an alternative to keeping a drum of race gas handy. Just for informations' sake...what octane would you say this homemade mix brings 92 or 93 octane pump gas up to? 96? 100? more? When You Want Max Power, Pull Your “45”! Technical questions about C45 can be directed to VP’s Tech Support staff at 812-878-2025 or DragTech@vpracingfuels.com. C45 and all VP products are conveniently available from VP’s extensive distribution network throughout North America and around the world. Customers can locate their nearest VP dealer by contacting a VP Regional Distribution Center. You are going to kill your fuel tank, rubber, and metal lines...as well as the inner workings of the carb, that were never designed to work with E85 in those older cars, yes It will run fairly well in the short term,due to its high octane, but it will also tend to cause major rust/corrosion issues and problems over time, in older muscle cars. motor oil that are also detrimental. specifically designed to be â€œFlex-Fuelâ€ capable. ALMOST every time I discuss OCTANE Boosters, some one brings up throwing MOTH BALLS in the fuel tank, now if you ever get the urge to do that get a clear glass jar, fill it about 1/2 full with gas and drop in several moth balls, and put the jar some place it won,t get knocked over, and broken. In a couple days you'll have either moth balls that look partly melted or turn into a sticky sludge in the bottom of the jar,your results depend on the brand, in either case you'll have the potential to partly clog the fine screen on the fuel pump pick-up and NO BOOST in power. Paradichlorobenzene, or dichlorobenzene, the ingredients and amounts or percentages of fillers and active ingredients vary by brand and manufacture dates and at least in theory they might raise octane, but for many year the formula has been different and while IM not sure whats in them,currently,I suspect mostly plastic, mixed with some chemical powder, I do know they usually look partly melted or turn into a sticky sludge in the bottom of the jar,and they usually cause problems in fuel systems and injectors, fuel filters, carb jets etc. 1. Toluene is a pure hydrocarbon (C7H8). i.e. it contains only hydrogen and carbon atoms. It belongs to a particular category of hydrocarbons called aromatic hydrocarbons. Complete combustion of toluene yields CO2 and H2O. This fact ensures that the entire emission control system such as the catalyst and oxygen sensor of your car is unaffected. There are no metallic compounds (lead, magnesium etc), no nitro compounds and no oxygen atoms in toluene. It is made up of exactly the same ingredients as ordinary gasoline. In fact it is one of the main ingredients of gasoline. 2. Toluene has a RON octane rating of 121 and a MON rating of 107, leading to a (R+M)/2 rating of 114. (R+M)/2 is how ordinary fuels are rated in the US. Note that toluene has a sensitivity rating of 121-107=14. This compares favorably with alcohols which have sensitivities in the 20-30 range. The more sensitive a fuel is the more its performance degrades under load. 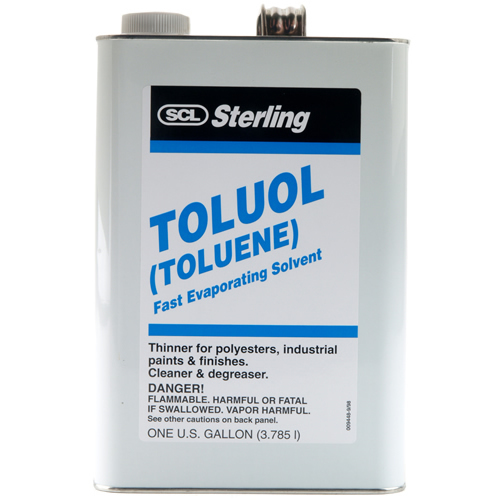 Toluene's low sensitivity means that it is an excellent fuel for a heavily loaded engine. 3. Toluene is denser than ordinary gasoline (0.87 g/mL vs. 0.72-0.74) and contains more energy per unit volume. Thus combustion of toluene leads to more energy being liberated and thus more power generated. This is in contrast to oxygenated octane boosters like ethanol or MTBE which contain less energy per unit volume compared to gasoline. The higher heating value of toluene also means that the exhaust gases contain more kinetic energy, which in turn means that there is more energy to drive turbocharger vanes. In practical terms this is experienced as a faster onset of turbo boost. Here is an article some of you might find interesting. I personally use toluene at a 5:1 ratio of pump gas to toluene and I always add 4 ounces of marvels mystery oil for every gallon of toluene.. If you are interested in running insane amounts of boost without spending $5+ a gallon on race gas read on. Just in case you are curious you can find it at most paint supply stores. Octane boosters are popular in the performance scene because they often regain power lost through detonation. Sold for around $25 in a handy bottle, they are a convenient fuel additive and horsepower helper. But with so much brands on the market, you may be fooled into thinking they are all as effective as each other. Which they are not! Differing chemical compounds, additives and even volumes, mixed in with a good percentage of advertising, independent" testing and testimonials all conspire to confuse the consumer away from the single most important paint: does it improve the octane rating? Lets see what worth it in octane boosters. DO I NEED AN OCTANE BOOSTER? The boys at "The Macquarie Library" describe detonation as: "Excessively rapid burning of the fuel mixture, often caused by auto-ignition due to excessive temperatures in the combustion chamber, incorrect ignition timing, lean mixtures, too high a compression ratio or unsuitable fuel," â€“ as in too-low an octane rating. Heard as a faint, metallic rattle, detonation is accompanied by a loss of power and can cause serious damage to piston crowns. The significance of detonation is such that many companies produce fuel additives designed to increase the inherent octane rating of a given fuel. The proliferation of octane boosters has in part come about in recent times thanks to low quality Australian fuels. White or "Super" leaded fuel has been reduced from 98 to 95-96 octane, Premium Unleaded has also dropped to a minimum of 95 octane. And this presents a problem for high-performance cars designed to run on higher octane European or 100 octane Japanese fuel. Japanese import performance cars, Subaruâ s STI WRX for example, runs an ECU program for 100 octane, but sometimes detonates on our Australian PULP. All engines are different though and with Honds S2000 2.0-litre engine running a high 11.0:1 compression ratio, it relies on advanced engine management as much as quality fuel. But it can sustain its power on PULP. And of course any turbo owner who has experimented with boost will know if you run too much, it will detonate, so improving the octane is vital for maximum performance. We must state that unless an engine is detonation through low RON fuel, octane boosters have little use. However, in a turbo or high compression application, the inclusion of a better grade of fuel allows the engine management system to optimize ignition timing and fueling. For this test we tracked down nine different makes and models of octane boosters, two fuel "additive," a straight race fuel and a drum of Toluene. Where there were several different "levels" of octane boosters in the one brand, we chose the strongest version. The biggest claims the bottles have is the amount of "points" they claim to increase. This is ambiguous as a "point" can relate to either 1.0 RON (Research Octane Number) octane points, or 0.1RON octane points. To conduct these tests we contracted independent laboratory Intertek Testing Services, who would test our products on a knock engine. We had to also find a base fuel to add our boosters to so we went to the closest public petrol station, a Shell on the outward-bound side of the Westgate Bridge in Melbourne. Being a performance-based test, we chose premium unleaded fuel as this represents the most common high performance fuel (ie: if you start with regular unleaded, youâ€™re wasting money!). We should add that "some" boosters would have improved the octane rating of regular unleaded proportionately more than our tests with PULP. With a RON rating at a minimum of 95, we first established the exact octane of the PULP. The biggest surprise was our randomly select Shell resulted in a quite high 96-8 RON. We precisely measured and mixed each additive to the PULP, according to each manufacturer s recommendations and specs and poured each into the knock engine s tank. The compression ratio was then slowly increased until it started to knock, gaining a threshold of detonation and subsequently a maximum RON rating. Of less importance but still worth mentioning is the design of the bottles: since most people will be pouring it straight into a tank, the design of a bottle is important to prevent any spillage on paintwork causing damage. So let s look at the results! It s very easy to confuse octane ratings as there are a number of separate international standards. MON (Motor Octane Number) is the number derived from a fuel when it s applied to a test engine run at 3000rpm rather than 600rpm and higher inlet temps and ignition advance. The Australian importer of 104+, Andrew Holds worth, suggested MON is seen as a more real-world test. Though none of the fuel companies promote the MON figure which is normally between 7 and 10 numbers less than RON (Research Octane Number). Intertekâ€™s Graeme Marks believes RON provides the general public with an idea of which additive works more effectively. And being the most commonly-used reference, weâ€™ve used RON for all our tests. Right from the start, we were told PowerFuel s additives weren t necessarily octane boosters, but horsepower helpers. We kept this in mind when testing both the products, but of the two only the Super Street claimed it was specifically designed to increase the octane rating of PULP. With a 20-percent nitro mix, Super Street Nitro-Based still improved octane ever so slightly (0.2RON) but the real test for these two would come on the dyno runs. Containing another 15 percent more nitromethane than the SuperStreet formula, MaxRace doesnâ€™t claim to increase octane, but the verbal recommendation was the same, ie: its main characteristic is to boost horsepower, not octane. For a fair comparison of these two additives, you need to look at the power they produce. As for octane, it proved very similar toe the SuperStreet formula bumping up octane ever so slightly. One of the cheapest of the group, the STP was also one of the hardest to find. Auto stores either didn t stock it, or had simply run out! Claiming to increase the octane 2-5 points, in a well-designed-for-pouring bottle, the STP used in the ratio determined by the label - improved the octane marginally by just over half a point. A little disappointing unless you interpret STP s claim actually meant 0.2-0.5 points. Then it s a good result! The Wynns was the cheapest of the lot and claimed an increase between two and five points, again not actually listing what a "point" related to. Strangely though the 10+ could indicate 1RON and if this is the case going by our tests it almost lived up to its name. It didn t quite live up to its claims however, increasing the octane rating by 0.8RON. The acknowledged winner of all previous testing in this country, Super 104+ s bottle stated we should expect an increase between four and seven point. With a new formula introduced about 12 months ago, identified by an "Eagle" logo on the back of the bottle, the Super 104+ seems to have lost its edge with a marginal gain of just less than 1.0RON. VP has a strong reputation with fuels and its high octane formulas are very popular (VP?) with drag racers. VP Racing s C5 Fuel Additive lacked any indication of contents nor claims, but the C5 additive still provided a reasonable increase of 1.3RON. NOS, a relatively new octane booster, comes in "1/10th" scale bottles designed to emulate the actual nitrous bottles of its successful NOS systems. The Racing Formula is the strongest of three concentrates and containing Hydrotreated Aliphatics and Methylcyclopentadienyl Manganese Tricarbonyl (try saying that 10 times in a row), it contains a lead replacement which NOS claims increases the octane rating by as much as seven points. Obviously not recommended for street use, it also included with a handy pouring spout. In testing, it proved a good result improving the octane rating by almost 2RON. "If you spill it on your paintwork, don t rub it off rinse it with water" were our works of warning. We were also told to "pre-mix" the ELF before adding it in a fuel tank (which with this test we were doing anyway) as the ELF has a tendency to settle to the bottom of fuel if it s either not mixed properly or left to sit. This was made somewhat more difficult by the design of the bottle, which tends to drip when pouring. With some nasty stuff known as Aniline, the ELF doesn t claim any numbers, and provided a decent 1.8 RON point improvement. Recommended for off-road and racing use, the Amsoil Series 2000 claimed to increase the octane rating by up to seven points. It came up a little short, but still proved surprisingly good with a full 2.0RON improvement. And good enough for the bronze medal in our Octane Booster Olympics. Since toluene (pronounced toll-you-een also known as methyl benzine) isn t a commercially advertised octane booster. We were unsure of exactly what ratio to mix the clear Toluene to the fuel, with recommendations between 10 and 30 percent. From personal experience, we have seen high percentages increase octane even further, though 30 percent is considered the maximum. Available only from various fuel distributors (it is a special order through services stations), under advice we ran a 20 percent mix (quite a lot more than the others) and saw an impressive improvement of 2.5 RON, for the silver medal. Time for an Aussie-made product. From Perth, the NF Octane Booster Racing Formula was the smallest bottle in the field, but looking at the mixing ratio, also the strongest NF relies on an incredibly small dose a mere 3 percent! Claiming to increase octane as much as 6.0 RON, NF took the gold medal in a surprising tie. If it were a split decision based on concentration though, it would be the clear winner. The Australian-made Nulon Pro Strength Octane Booster is the top of the range Nulon fuel product, claiming to boost octane "up to seven number". The Pro Strength gained a test-winning, gold-medal-gaining and Nf-equalling 2.8RON increase. And at $21, it s good value too! Purely for interest, we decided to also test a straight racing fuel. While there are a number available (such as ELF) for no particular reason we chose VP. The highest octane VP fuel which was still totally street-legal was the Motorsport 103. Working out at $3.50 per litre and "designed for maximum power and throttle response", the VP was very impressive with an octane rating of 107RON more than 10RON points more than PULP. Obviously more expensive than the boosters, if octane is problem, racing fuel like VP may be the answer. As the name suggests, a knock engine is designed to test the detonation or anti-knock rating of fuels and fuel additives. It s a slow revving engine capable of running most fossil fuels through an adjustable compression ratio. As the comp ratio increases, it accurately measures the intensity of the knock and determines the fuel s octane rating. The world standard is a one-cylinder two-valve four-stroke engine with exposed valve gear. Archaic in appearance, a carby is fed from any one of three fuel bowls to allow three different fuels to be run back to back. The mixture is actually controlled via gravity feed and by raising or lowering the float level of each bowl! Run under load via a belt-drive linking the flywheel and load system, it ensures a real world situation and ensuring minimal variation between tests, oil temperature, intake air density and air temperature are all monitored and controlled. The engine is somewhat agricultural, however its unique ability to vary the compression ratio while running between 5.0:1 and 15.0:1 is quite amazing. The operator simply winds a handle and the entire head and cylinder assembly moves up and down relative to the crankshaft. A knock sensor measures both the frequency and intensity of the ping (as displayed on a knock metre). Figures are then cross-referenced on a chart using the information provided by the knock meter, plus the height of the head and barrel. Finally, knock intensity is figured in and the fuelâ€™s octane rating determined. Taking two hours to warm, this $200,000 engine is super robust and rarely needs rebuilding. Individual tests can then proceed at approximately $120 per test sample. Being subjected to so much detonation, you can only imagine how much maintenance an engine of this nature must need. Interestingly, this isn t the case as the piston and rod assembly are rejects from a monstrous ship engine (just kidding)! They re frigging huge with the incredibly thick piston crown contributing to a combined gudgeon pin and piston weight of 1794 grams! Likewise, the rod weighs an astonishing 1929 grams. The bottom line is these engines which have replacement value of over $200,000 and almost never require rebuilding. Ultimately, the role of an octane booster, is to regain horsepower lost through detonation or retarded ignition timing due to detonation. But two of our products, the nitro additives, weren t specifically designed to increase octane. Instead, they contain a mix of nitromethane (the petrol Top Fuellers run) in a "percentage" concentrate. Power Fuel s Super Street and Max Race additives has 20-percent and 35-percent nitro respectively, and the Australian importer specifically claimed they would increase power, not necessarily octane. So, we took those two products, and the two best-performing octane boosters to MRT Performance for some Dyno Dynamics dyno testing. Interestingly, we were going to use MRT rally Civic, which normally runs on avgas. On PULP even with the booster it was pinging too much, so a Jap-spec EF Honda Civic was used with a 1.6-litre VTEC and about 10.0:1 comp ratio. The graphs tell the story though, and to be fair to the products, with variables such as heat soak, the results weren t as conclusive as could be gained from an engine dyno. But that is not to say the products don t work. As our test prove, they do, but it s not as easily measured on a chassis dyno. Plus the Civic had no detonation problems on PULP, further hampering the "apparent" effectiveness of the boosters. With changes too small to accurately measure, we would suggest if your engine is sensitive to octane, a booster is for you. If not, try the nitro or racing fuels. Both the Nulon Pro Strength and the NF Racing Formula rated the best octane boosters in our test. And considering that less NF was needed than Nulon, it evens out a little with a slightly higher cost. Still, both proved extremely effective at increasing octane, even outranking Toluene, which needs much higher levels of concentration. The VP Motorsport 103 fuel was an interesting exercise, and if a little more effort (ie: buying it from the selected outlets) is worth the octane, it s a good representative of what to expect from straight racing fuel. As for the nitro additives, if you re not experiencing any type of detonation, they re definitely worth a try. So whether you detonate or not, we ve found a fuel additive for you! Material courtesy of Fast Fours Magazine Nov/Dec 1999. It seems everyone has a story about a racing friend who had a racing friend that somehow got away with hiding a nitrous bottle or an extra fuel container with nitromethane-laced fuel that helped them win races they wouldn't have otherwise. You've maybe even heard a few yourself. Odds are that many of these old stories are fabrications like the old "alligators in the New York sewers" urban legend, but more than a few are also likely true. There are lots of other popular cheating stories that follow various themes in racing, but the illegal fuel stories are among the most popular because it actually is one of the easiest ways to squeeze more power out of your engine. Of course, there are also lots of situations where your choice of racing fuel doesn't have to be shrouded in secrecy because it isn't prohibited by the rules. In fact, your fuel choice can be critical to the success of your racing program. We've already done research in Circle Track proving that a quality race gas can provide quite a bit better performance over standard pump gas even in low-compression engines because the companies that blend the pump gas are more concerned with protecting OEM vehicle's exhaust sensors, limiting hydrocarbons and cutting costs than they are the power potential of the fuel. Plus, pump gasoline blends will vary quite a bit from summer to winter, making tuning your carburetor that much more tricky. But not all race fuels are created equally, either. In fact, because manufacturers of racing fuels do not have to take the "one size fits all" mentality, they can blend fuels specifically for certain engines or racing classes. One of the subcategories when it comes to different types of racing fuel is what's known as an oxygenated fuel. Oxygenated fuels can be either leaded or unleaded, have a wide variety of octane levels, and have many other characteristics. But almost all oxygenated fuels have some type of additives in the gasoline that have the right mix of ingredients in the chemical compound to create oxygen molecules when that compound is broken down. This is the key to making extra power: The extra oxygen in the combustion chamber means you can add even more fuel, and when the two are burned the result should be additional energy pushing down on the piston. When done correctly, the extra oxygen molecules also help burn the existing fuel more completely. For years a compound known as MTBE was a common additive oxygenated fuels, but MTBE has been proven to be quite dangerous to both the environment and ourselves so it's rarely found in fuels anymore. Since the demise of MTBE, ethanol and a chemical called propylene oxide have become two of the more popular attitudes to create oxygenated fuels. But since there is no requirement to print an ingredients label on the side of your fuel can like you would find on a pack of Twinkies, it can be difficult to learn precisely what is in the fuel you are burning. Understandably, fuel manufacturers like to keep the exact recipe for the blends used in their racing fuels private. Regardless, most of us are more interested in improving our results on the racetrack than we are retaking that high school chemistry class we slept through anyway. The truth of the matter is that in the right situations, and oxygenated race fuel can help a race engine produced significantly more power than the same engine own standard race gas. Everett Bradham is the shop foreman for Willy's Carburetor and Dyno Shop in Mt. Carmel, Illinois. Willy's is one of the top carb tuners in stock car racing and is constantly improving its carburetors through rigorous research and development. Willy's offers its customers carburetors tuned specifically for racing with oxygenated fuel, so we asked Bradham about the benefits of racing with the stuff. "We've tested with oxygenated fuels several times," he says. "And just recently we did a test with some of VP's fuels. We tested the VP113, which is an oxygenated fuel, against the VP-110, which is a very high quality standard race fuel. The VP113 is considered a 5-percent oxygenated gas, and we were running it on what you might consider a standard Street Stock motor with a two-barrel carburetor. We had to go up two jet sizes with the VP113 compared to the standard fuel and we saw a gain of around 10 horsepower. "Then we tested VP's CHP race fuel, which is a 10 percent oxygenated fuel. We ran it on the same engine as the VP-110 and the VP113 and had to go up another two jet sizes, but we also saw a gain of around another 10 horsepower. So the stuff really does work. You won't see gains that good in a better engine with more efficient cylinder heads, but for that application with the Street Stock level engine that's pretty good power to be made." VP's Freddy Turza explains that oxygenated fuels are most effective in stock-style or low compression engines because the oxygenated fuel blend helps the engine work more efficiently. "A lot of times when people hear 'oxygenated fuel' they think about cheating with nitromethane in the fuel. And that's not the case. There is a power-enhancing chemical blend that goes into the fuel but the purpose of it is to achieve better vaporization to equalize all of the runners in the intake manifold. "Whenever you have to work with an inefficient combustion chamber, that's where this fuel is typically going to be the most helpful," he continues. "Like the CHP fuel we designed specifically for applications racing crate engines like the Chevrolet 602 or 604 engines. Those are typically lower compression engines and its efficiency is low because of restrictions in the carburetor, intake manifold, or the intake runners themselves. By increasing the efficiency of the fuel, you are able to help these types of engines generate more power." The key with oxygenated fuels is that the performance gain isn't necessarily with the peak power numbers. Hendren Racing Engines in Rutherfordton, North Carolina, is a certified crate engine rebuilder for several series. Steve Hendren says that one of the biggest benefits of oxygenated fuels when it comes to crate racing is lower in the rpm range. "We've done extensive testing on oxygenated fuels versus standard race gas," he says. "On average, depending on the engine and the weather, you are looking at a gain of 7 to 10 horsepower versus standard race gas. And that's a big deal with a 602 or a 604 crate because they are all the same, so even a seven horsepower advantage is going to be significant on the racetrack. "But the gains you can make with a fuel like this isn't simply a peak power number. Really, the main difference you will see is the low-end torque and the horsepower through the midrange. And that's pretty much where you want it anyway, because you don't pass too many guys going into the corner. Most of your passing is coming out of the corner, and that's where that extra low end torque is going to come into play." One issue with oxygenated fuels is that you can't simply pour it into your fuel cell and expect an instant bump in both horsepower and torque. As Bradham mentioned, on the dyno the oxygenated fuel required bigger jets. The reason is simple: to make more power you have to burn more fuel. Simply increasing the jet size may work on the dyno, but we're racing cars, not engine dynamometers. "You've got to get more fuel in there," Bradham says of running oxygenated fuel versus standard race gas, "so the first thing a lot of guys will think of is just to go up on the jet sizes until you get what you need. You can do that, but as you go up on the jet sizes you start losing a little bit of driveability--the carburetor won't operate as cleanly. That's because the bigger the jet, the 'dirtier' the car drives, so to speak. When you start rolling onto the throttle on turn exit, the jets start moving more fuel, and the fuel isn't atomized as well because of the bigger holes in the jets. "You can increase fuel in more ways than just increasing the jet size," he continues. "One way that you can keep the drivability nicer is by increasing the power valve size. That's a delayed fuel enrichment circuit that doesn't initially come in as soon as you roll on the throttle but adds fuel a bit later depending on the power valve you have in the carburetor. That way you can adjust it to add fuel when you are at wide-open-throttle but no part throttle. So that's one way to help the carburetor give the engine more fuel while still maintaining a good, crisp throttle response." As a professional carb tuner, Bradham knows all the tricks, and he says that Willy's applies several to its carbs built for racing oxygenated fuels, but he was willing to share one more example. "Sometimes you may also need to richen the idle circuit up too," he says. "The idle circuit isn't just for idling around in the pits. It also affects the car when you roll off the throttle on turn entry and through the turns. When you go into the corner and get off the gas, those throttle plates shut and the only thing fueling your motor is the idle circuit. Remember, when those throttle plates are shut, that cuts off the fuel from the main circuit that you've worked so hard to tune. So if you have had to richen up the main circuit for the oxygenated fuel, then you probably will have to richen up the idle circuit too. If you don't, you will heat up the motor on deceleration because it's running too lean. And then because it is too lean, when you get back on the throttle it's going to stumble and fall on its face. And it's going to struggle to pull until you get over that delay when the carburetor is able to get fuel back into the engine through the main circuit." Besides your carburetor, making the switch to an oxygenated fuel means you may also have to take a close look at the rest of your fuel system. Typically, an oxygenated fuel means 4 to 5 percent more fuel consumption. Typically, that's not enough to require running a larger fuel cell, but Turza says he has seen situations where a racer needed to upgrade their plumbing from the fuel cell to the fuel pump. When discussing engine tuning the 'Air/Fuel Ratio' (AFR) is one of the main topics. Proper AFR calibration is critical to performance and durability of the engine and it's components. The AFR defines the ratio of the amount of air consumed by the engine compared to the amount of fuel. A 'Stoichiometric' AFR has the correct amount of air and fuel to produce a chemically complete combustion event. For gasoline engines, the stoichiometric, A/F ratio is 14.7:1, which means 14.7 parts of air to one part of fuel. The stoichiometric AFR depends on fuel type-- for alcohol it is 6.4:1 and 14.5:1 for diesel. So what is meant by a rich or lean AFR? A lower AFR number contains less air than the 14.7:1 stoichiometric AFR, therefore it is a richer mixture. Conversely, a higher AFR number contains more air and therefore it is a leaner mixture. Leaner AFR results in higher temperatures as the mixture is combusted. Generally, normally-aspirated spark-ignition (SI) gasoline engines produce maximum power just slightly rich of stoichiometric. However, in practice it is kept between 12:1 and 13:1 in order to keep exhaust gas temperatures in check and to account for variances in fuel quality. This is a realistic full-load AFR on a normally-aspirated engine but can be dangerously lean with a highly-boosted engine. Let's take a closer look. As the air-fuel mixture is ignited by the spark plug, a flame front propagates from the spark plug. The now-burning mixture raises the cylinder pressure and temperature, peaking at some point in the combustion process. The turbocharger increases the density of the air resulting in a denser mixture. The denser mixture raises the peak cylinder pressure, therefore increasing the probability of knock. As the AFR is leaned out, the temperature of the burning gases increases, which also increases the probability of knock. This is why it is imperative to run richer AFR on a boosted engine at full load. Doing so will reduce the likelihood of knock, and will also keep temperatures under control. There are actually three ways to reduce the probability of knock at full load on a turbocharged engine: reduce boost, adjust the AFR to richer mixture, and retard ignition timing. These three parameters need to be optimized together to yield the highest reliable power. Book Marked this page on my Phone Grumpy. Was thinking of it. Read at least 1year ago. 4- Could run 16:1 CR + because Methanol in comparison to best Race Gas has higher effective resistance to detonation, and the other reason to run higher CR is because of the previously mentioned LOSS of Ve %. if the Ve % Loss is corrected, Comp Ratio might have to go lower ? 5- to build a Methanol specific engine, then Intake port cross-sectional areas would have to be larger, Cam Lobe/Lift increased. Use 18.0 :1 static compression ratio. Up to 2000 HP Can be had normally aspirated on Methanol. At least 1000cfm carb to start. If your just playing & daydreaming meth is not for you. Stick to piss water pump gas. Run slow. A 540 ci BBC Scott Shafferoff engine runs great on Meth with a 5" Ron's Flying toilet injection. 4000cfm. Old neighbor broke into 7's 1/4 mile. 1982 Camaro. 18-point pro stock style chassis. Many of these guys are just computer geeks only. E85 IS NOW FAIRLY EASY TO FIND IF YOU LOOK HARD ENOUGH and it has some advantages as a higher octane fuel source provided its correctly used. 1. No matter what type of fuel system you are running you must increase flow (volume) by roughly 30% over a (gas) setup. This is more than just increasing the main jets (in a carburetor) by 30%. Flow must be increased throughout the whole system and fuel curve. Generally speaking one jet size represents a 4.5% change in a Holley type main jet. 2. Start out with your total timing the same as on gas then adjust for best mph. 3. Water temp. needs to be 140 - 150 degrees when you pull into the water box and at least 160 degrees when you stage. Your jetting is close when you gain about 10 degrees in the 1/8th and about 20 degrees in the quarter. Q. How does nitrous oxide create more horsepower? A. Nitrous oxide provides the oxygen that allows an engine to burn more fuel, more burned fuel equals more power. Q. What is the difference between a wet and a dry system? A. A "Wet" system introduces a homogenous mixture of nitrous and atomized fuel into the incoming air stream, thus providing a perfect air/fuel ratio for each. Q. Can I still run my car all-motor with nitrous installed? A. Of course, the nitrous system only affects performance when it is being used. Q. How can nitrous blow my engine up? A. Nitrous in and of itself cannot "blowup" an engine. Nitrous kits of poor design, poor quality, and improper air/fuel ratios damage engines. Q. What is nitrous backfire? A. Nitrous backfires can be caused by two situations. 1. A nitrous system that is too rich or a system that atomizes the fuel poorly, thus causing pooling or puddling of fuel in the intake manifold. 2. A system that is operated too lean. Q. What is meant by 30, 50, 100, 150, and 200 shots? A. "Shot" is commonly used slang in the nitrous community to refer to the amount of horsepower increase provided by the nitrous system. Q. How long can I squeeze nitrous in my engine? A. With an NX system the only limitation is the capacity of the N2O bottle or the RPM limit of the engine. Q. When is the best time to use nitrous? A. When you want to go fast. Q. How can a nitrous system be activated (a "happy button," automatically, or what)? A. All NX systems come standard with wide-open throttle switches, however we offer an electronic TPS switch as well as a push button. Q. What is the safest way to configure nitrous activation? A. The only safe way is to use a wide open throttle switch, however you may configure any number of ways to "trip" the system but all must be used in conjunction with some type of wide open throttle switch. Q. Is a bottle heater good? A. A quality bottle heater is essential to proper nitrous system performance. Q. Can I vary the amount of nitrous injected when I want? A. Yes, by utilizing NX's digital progressive controller, the "Maximizer". This devise allows the user to precisely control the amount of nitrous delivered to his engine from the comfort of the drivers seat. Q. Can I install a nitrous system on my car if there is no kit available? A. NX has a system for every car manufactured in the world today. Q. How much of a horsepower increase can I expect from a nitrous system? A. All NX systems make within 2% of their claimed horsepower, if you jet the system for 50 horsepower then you can expect no less than 49 horsepower, but usually a few more than the rated amount. Q. How long will a bottle of nitrous last? A. That depends on the level of power being produced. The formula for calculating your nitrous usage is: 0.8 lbs N2O X 10 seconds = 100 horsepower. I.E. If your system is jetted for 100 horsepower it will use 0.8 lbs of nitrous for every 10 seconds of usage. Q. How much does it cost to get nitrous refills? A. The cost of nitrous oxide varies with the region of the country, however a general estimate would be between $3.50-5.00 per pound. Q. Are there nitrous systems available for late model imports? A. NX makes a system for every car manufactured today. Q. What comes with a nitrous kit? A. Most NX systems come complete with a 10 lb nitrous bottle, stainless steel bottle brackets, 16 ft aircraft style supply line, N2O filter, lifetime warranty nitrous and fuel solenoids with mounts, all standard jet settings, an NX patented Shark nozzle (nozzles), or a patented carbureted plate, wide open throttle switch, a complete installation pack that includes all bolts, nuts, washers, wire, wire terminals, lighted arming switch, and complete instructions with pictures. Q. Will I need anything else to install the kit properly? A. To complete the installation a Gen-X package should be ordered with the system. This includes the bottle heater, liquid filled nitrous pressure gauge, low fuel pressure safety switch, and a external bottle vent fitting and plumbing kit. Q. Can I hide my nitrous system from a novice tuner? A. Yes, it is quite easy to hide an NX system from the casual observer. Q. Can I use nitrous on my turbo or supercharged vehicle? A. Yes, NX specializes in turbo-supercharged nitrous applications. Q. What are some general rules for creating the most horsepower without damaging anything? A. Generally speaking the amount of power that can be created with nitrous is almost limitless. To avoid a catastrophe, the internal components of the engine must match the amount of power that is going to be generated. The use of proper air/fuel ratios is essential and the quality of the nitrous system is paramount. Q. Is a nitrous system worth the money (horsepower per dollar wise)? A. No other devise in the world offers such a bargain as nitrous oxide. Q. Why doesn't everyone use nitrous? A. Nitrous is not for everyone, some people prefer turbos, some like blowers, and others feel it is cheating to use nitrous. Q. Why does nitrous have such a scary reputation? A. There has been some very shoddy nitrous "kits" sold to unsuspecting customers over the last 20 years; this along with the abuse nitrous has suffered from "idiots" who damage their own engines. (of a substance) tending to absorb moisture from the air. The whole point of running E85 is to take advantage of the superior properties of ethanol, right? And E85 means 85% ethanol, 15% gasoline right? Clear enough. 85% Ethanol and 15% WTF-ever, right? 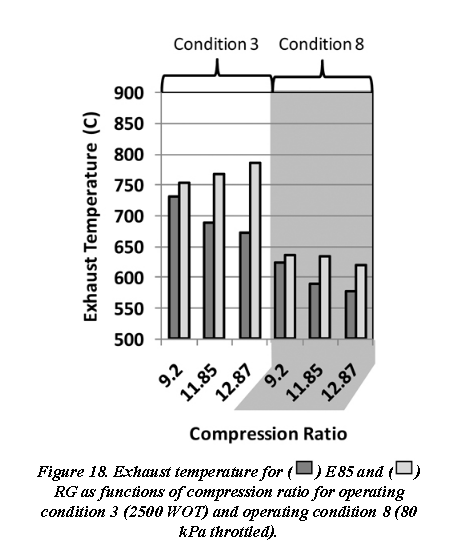 The real meaning of that bit of lawyer-speak horseshit is that E85 has a maximum ethanol content of 83%. And that defines our maximum – so what about our minimum? The original specification set the minimum ethanol content at 75% which was lowered to 68% in June of 2010, and lowered again to 51% in June of 2011. As of February 2012, this is the current specification and E85 purchased from the pump could have an ethanol content as low as 51% and still be within spec. So now that you know the what, you’re probably interested in the why. At least I hope you are. You didn’t come here with a blank stare and drool running down your face expecting to see how many people “liked” E85 did you? With the increasing use of E-85 Ethanol based fuel and sporadic engine failures I thought it appropriate to put forward some information regarding this fuel. The main benefit of Ethanol over gasoline is its heat of vaporization which is when the Ethanol changes state from a liquid to a gas. This change of state is endothermic, removing heat from the system to change state, which increases the density of the air/fuel mixture allowing more air (Oxygen) into the cylinder. Although Ethanol has a lower heating (BTU) value than gasoline, the charge cooling allows greater mass to be inducted which increases the total combustion mass. The charge cooling also allows increased spark timing in most applications. The net sum allows Ethanol to increase net power over gasoline. All of this is good stuff, but with all things in life it does have some limitations. Ethanol requires more fuel mass per combustion event (stoichiometry) over gasoline. This reduces fuel efficiency per mile traveled over gasoline, so one’s fuel mileage decreases with Ethanol. Ethanol is hydroscopic (See Injector Dynamics below) so water content has caused some corrosion and chemical compatibility issues with fuel system components and rubber products, such as injectors, fuel pumps, o-rings and seals as well as tubing/fuel rails. We have seen some corrosion issues with valves and cylinder liners as well; mostly due to long term storage. Regarding engine failures, we have seen many failures due to excess combustion temperatures and pressures such as melted pistons, cylinder heads and head gasket failures. We have also seen cracked cylinder liners from excess combustion pressure. These mechanical failures are mostly from use of pump E-85 with its questionable octane (see Injector Dynamics below) in a high output engine configuration or poor calibration (tune-up). Another item which is in need of a separate article is spark plug heat range. We have seen numerous engine failures using pump E-85 or Race E-85 due to an incorrect heat range spark plug. As engine power output increases and duty cycle increases (mile run versus quarter mile) it is imperative to change to a colder spark plug. The increased performance of an engine is due to increase combustion heat (pressure) which increases the average spark plug temperature per combustion cycle. The spark plug must be cool prior to the next combustion cycle or the possibility for pre-ignition is greatly increased. Pre-ignition is a common failure with the increased use of forced induction in today’s street and race engines. For the forced induction Ford Modular a NGK TR6 plug is too hot above 10 lb of boost. In some 20+ boost engines a NGK BR7 is too hot. We have some folks running a NGK 10-11 heat range but the rich supercharged tune-up will cause fouling. NGK 8 and 9 seems to be a good compromise. An interesting engine failure seen only with E-85 is wrist pin Spirolocks rotating in the groove eventually winding their way out of the groove with the end result of the wrist pin coming out of the piston causing catastrophic engine damage. We have seen many cases of an engine having all the Spirolocks (mostly left bank) halfway wound out of the groove looking like a nose hair hanging out of someone’s nostril. This phenomenon is only caused by combustion energy vibrating the piston/pin/Spirolocks. As of 2014 we have not identified the details but it does exist in hi-output E-85 applications. Round wire wrist pin locks have not shown this phenomenon to date. Moral ----- Pump E-85 is a street fuel, so street boost and tune. Race track is race fuel and race tune and boost. Instead of rehashing existing E-85 information, below is an excellent Ethanol fuel tech article by Paul Yaw of Injector Dynamics, put forth in detail and using the English language he excels at. Please go to Injector Dynamics for excellent technical information, particularly his Library page. There are many papers at http://www.SAE.org that are some of the best reference papers on Ethanol and other fuels as well as combustion that are well worth investigating. Don’t consider Internet discussions as valid; go to credible sources and documents for your information. Government info http://www.eia.gov/tools/faqs/faq.cfm?id=27&t=10 Production and distribution info http://info.smithmeter.com/literature/docs/tp0a015.pdf from a production vendor. The first and most important thing you need to know about alcohol is that it is hygroscopic. Hygroscopic means that it will readily absorb moisture from its surroundings. In our case, the “surroundings” would be the atmosphere, and that atmosphere contains water. The higher the humidity, the greater the amount of water, and the greater the rate of water absorption by the alcohol. The picture below shows a typical valve from a modern ball and seat style injector. The ball shaped portion of the valve that makes contact with the seat is made from super secret alloy known only to the injector gods, but the armature is made from a fairly traditional high iron content alloy which will rust in a heartbeat if it is exposed to water. Care to guess what happens when the alcohol in your fuel system is contaminated with water? The armature rusts, and sticks the assembly shut. At least that’s what has happened to the injectors that get sent back to us when the car doesn’t start after sitting for a month. Worse are the cases where the injector is left on the engine because it continues to function, but the valve lift is reduced by the layer of rust on the mating end of the armature. Considering that total valve lift varies from a high of ten thousandths of an inch, to a low of three thousandths of an inch, it doesn’t take much rust to substantially change the flow rate of the injector. Affter reading the above article , E85 is not my choice to use definate. 51%-83% alcohol at any given time. Wrist pin locks working free also from detonation.